(Reuters Breakingviews) - The Dominican Republic's beneficial perfect storm won't keep blowing forever. The Caribbean nation of 10 million has notched the strongest economic growth in the Western Hemisphere for the third year running - over 6 percent for 2016, according to U.N. estimates. President Danilo Medina, who cruised to a second term in May with over 60 percent of the vote, has made the most of the favorable climate. CHICAGO (Reuters Breakingviews) - Interest-rate hikes will help America's underfunded public pensions in 2017. Relief could be fleeting, however, especially if the U.S. economy falters. Illinois and Dallas, in particular, are canaries in a $1 trillion coal mine. CHICAGO (Reuters Breakingviews) - Donald Trump's choice of Rick Perry to head the U.S. Department of Energy may accelerate the inevitable clash between the president-elect and Washington's bureaucrats. It would be a mistake for Trump to underestimate their ability to slow-roll his agenda. CHICAGO (Reuters Breakingviews) - The Brazilian billionaires at 3G Capital that turned Kraft Heinz and Anheuser-Busch InBev into mega-acquisition machines will dive back into the buying business in the coming year. Their next target should be Mondelez, the $66 billion food conglomerate that failed to coax chocolate-maker Hershey into a sale in 2016. A deal will require some unusual ingredients. CHICAGO/MADRID (Reuters Breakingviews) - Exxon Mobil's next chief executive will confront a weakened empire in 2017. With current boss Rex Tillerson selected as Donald Trump's secretary of state, likely successor Darren Woods will take charge of the $380 billion oil giant amid still-weak prices and falling reserves.  CHICAGO (Reuters Breakingviews) - JBS sharpened its carve-up blade. The $8 billion Brazilian meatpacker filed on Monday to list its overseas business again after a government shareholder nixed an earlier plan that could have put the Sao Paulo-based rump under control of a foreign parent. The new deal should lower capital costs, but with fewer complications. CHICAGO (Reuters Breakingviews) - Warren Buffett beats up on few industries with the regularity of American airlines. In a 2007 investor letter, the Sage of Omaha, still smarting from an errant $358 million investment in USAir two decades earlier, called the sector a "bottomless pit" for capital. He quipped that investors would've been better served if aviation pioneer Orville Wright had been shot down at Kitty Hawk. Now his Berkshire Hathaway is sinking more than $1.3 billion into the four largest U.S. carriers. What gives? It's simple - Buffett's love of competitive moats has trumped his fear of flying. CHICAGO (Reuters Breakingviews) - Samsung is riding a stallion instead of a unicorn into the driverless revolution. Despite no stated cost savings, the 28 percent premium the Korean electronics group agreed to pay for connected-car supplier Harman International is reasonable. The likes of Alphabet's Google are investing heavily to invent the automotive future as General Motors and others bet on risky startups. This deal suggests there are safer ways to play a mega-trend in the making. BAT's $47 bln offer for 58 pct of the tobacco group is at 16 times EBITDA - more than Reynolds paid for Lorillard last year. BAT's big stake will deter rivals. Recent lackluster earnings and a new CEO may also filter Reynolds' ability to push a decent price noticeably higher. Rice Energy's $2.7 bln swoop on Vantage, which was planning an IPO, follows transactions in oilier shale regions. Paying partly in shares will limit debt, but unlike in EOG Resources' recent deal, Rice's shares fell. Maybe gas isn't yet inspiring the same animal spirits as oil.